A durable water bottle with an extra internal chamber for snacks or daily essentials. 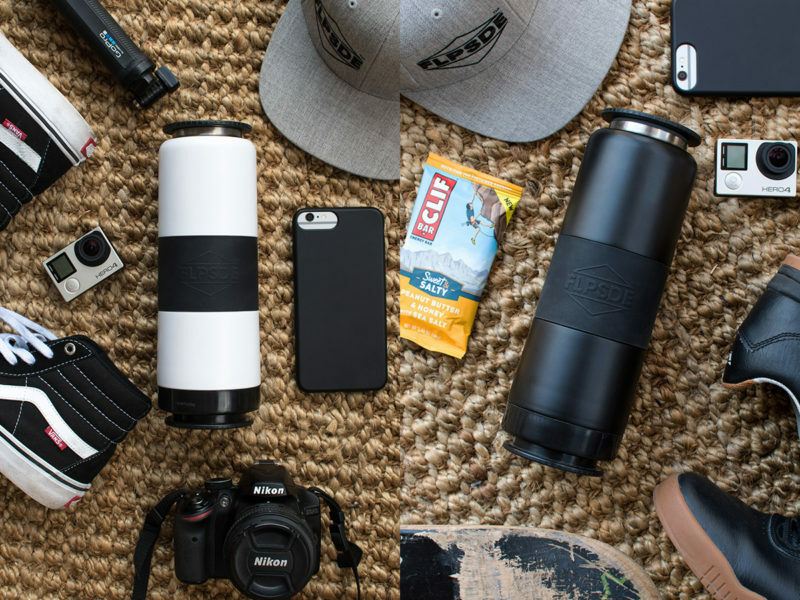 Whether you’re on the nature trail or just on your daily commute, you want to keep your gear to a minimum but you want to make sure that it delivers with maximum convenience when you need it. 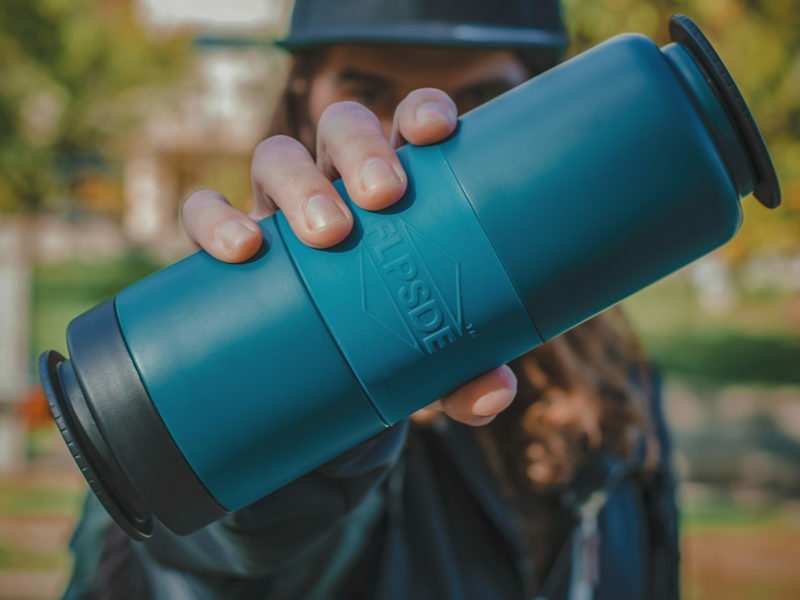 Firm in this knowledge, FLPSDE has created a line of “dual chamber” water bottles that let you easily store, carry, and access your favorite beverages and snacks while on the go. 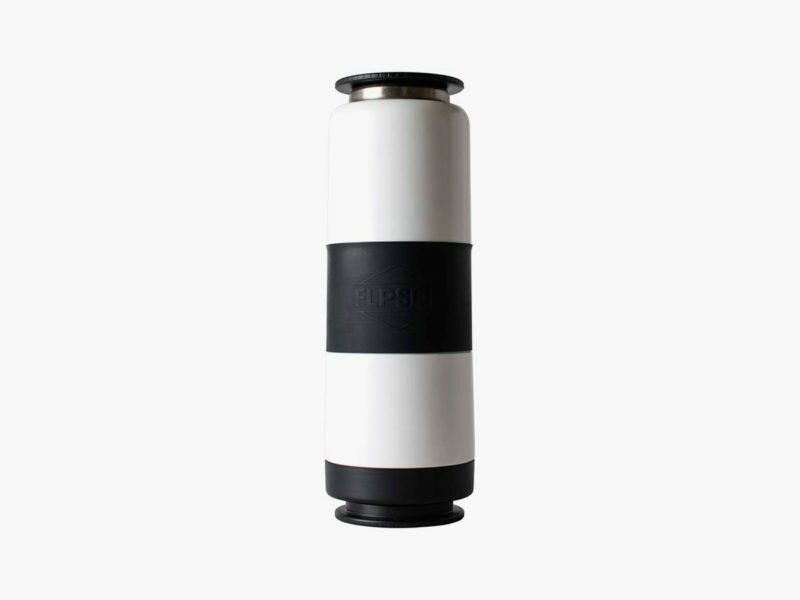 Comprised of heavy-duty stainless steel with a high-grip silicone band, these durable and ergonomic water bottles are designed with two internal chambers that are accessible from either end of the FLPSDE. 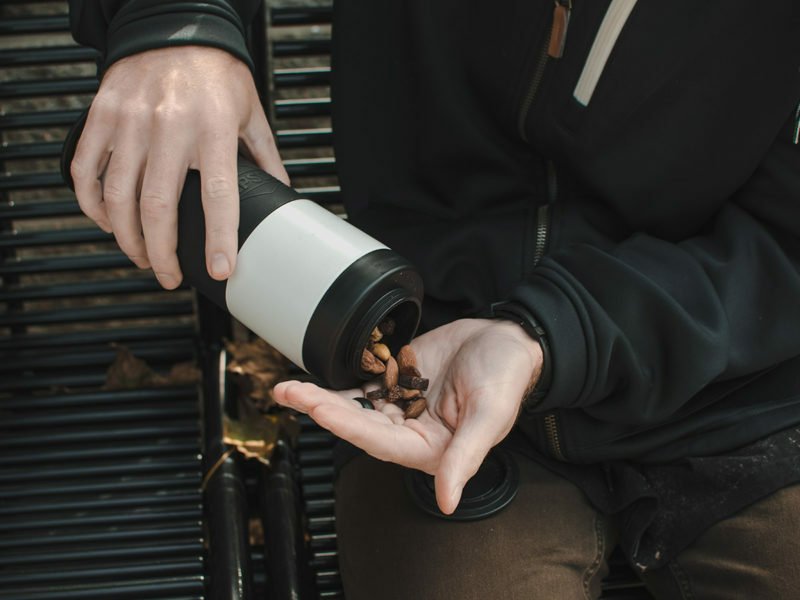 A large (20-ounce capacity) chamber for beverages actually wraps around a smaller 7-ounce chamber that is ideal for snacks, small everyday-carry essentials, or other dry goods. 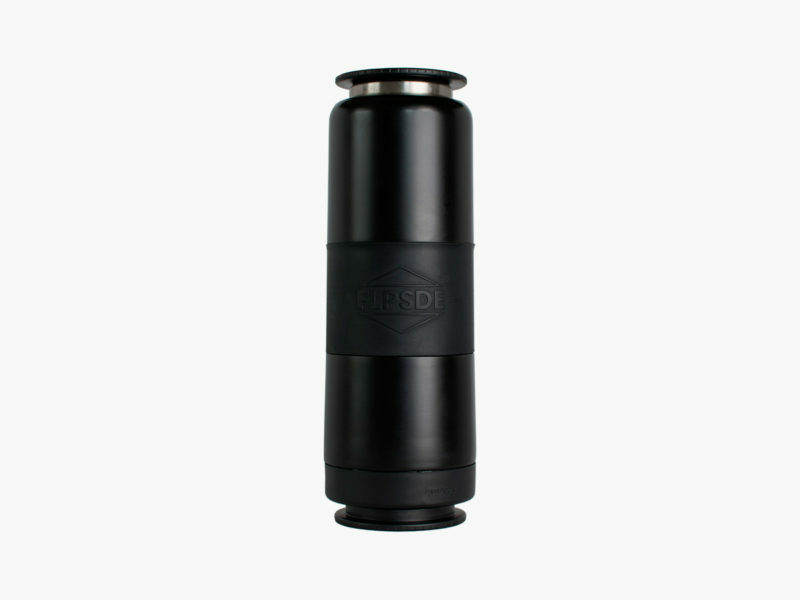 The outer chamber is vacuum-insulated to keep hot drinks hot and cold drinks cold for hour upon hour. 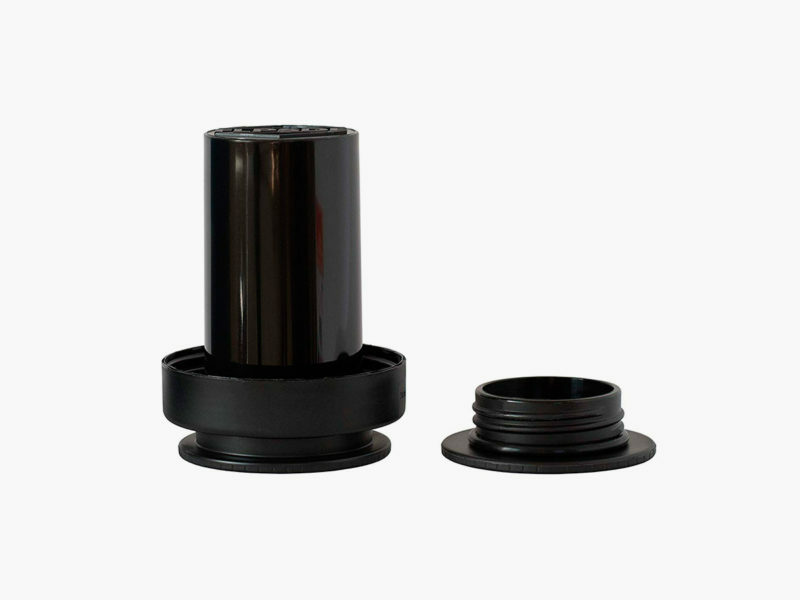 The inner chamber removes easily for efficient cleaning.